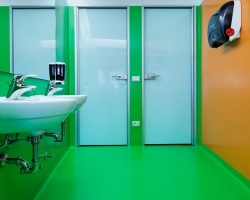 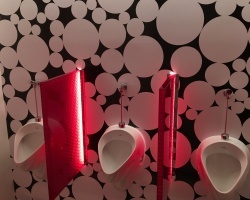 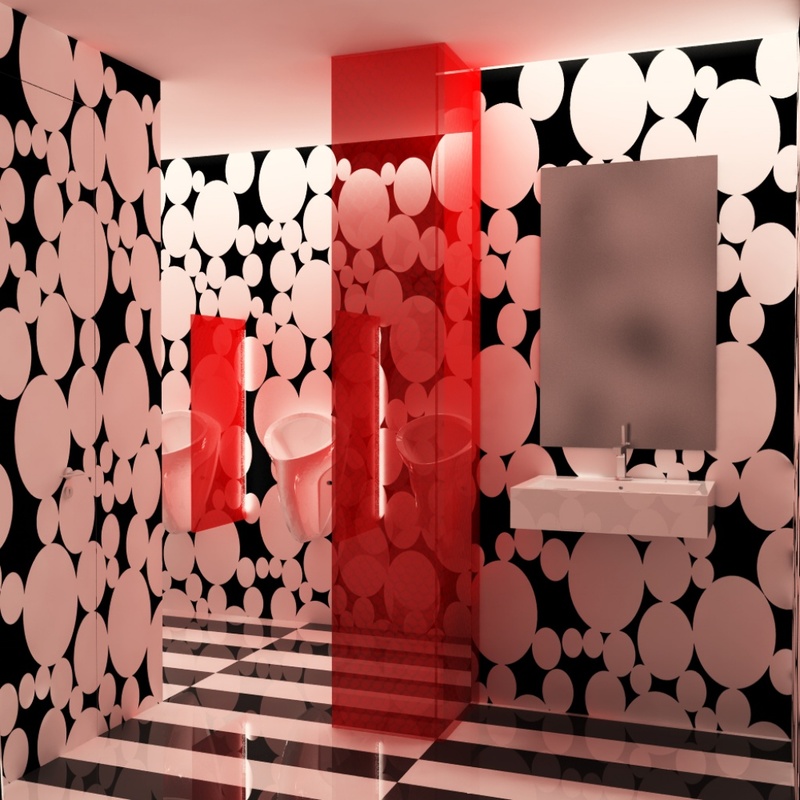 Are restrooms a place to express creativity? 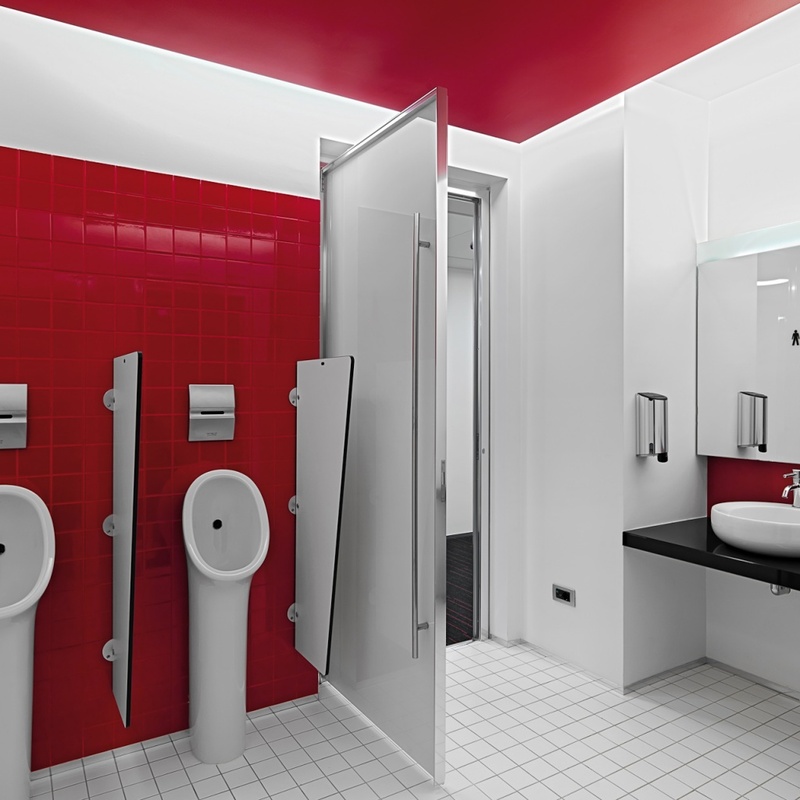 Over the years, specializing in office interior architectuire, I had the opportunity to design quite a few toilets. 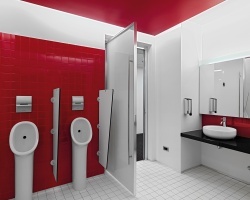 I wasalways surprised to find how, on these specific facilities, corporations are often far more open to creativity and innovation than even the most open-minded and art-addicted clients aspiring to renovate their own home bathrooms. 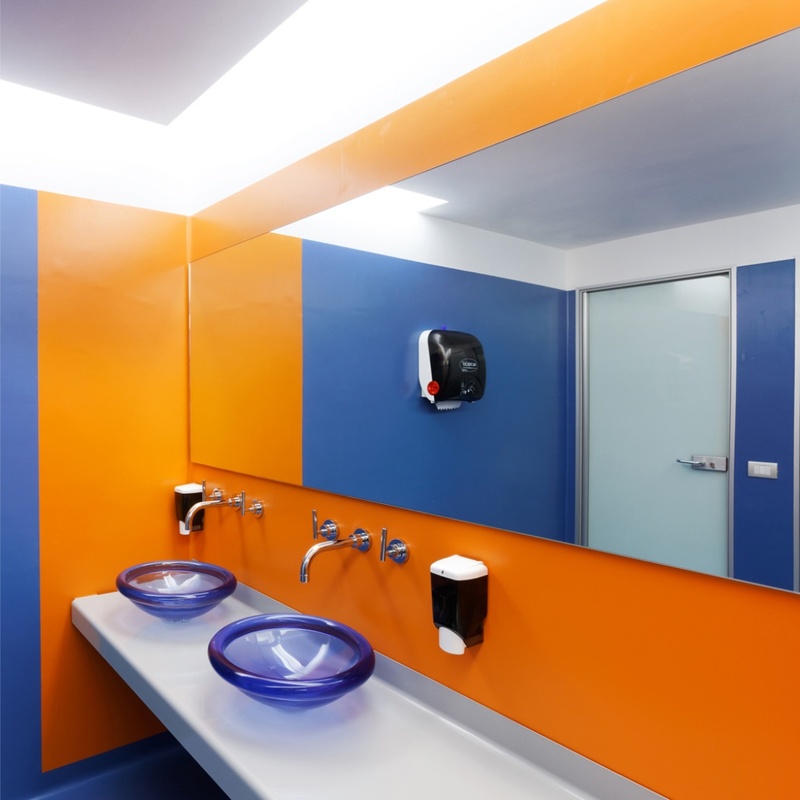 Our clients in the new economy, like Google, as well as those active in the more traditional banking-finance and management consulting sectors (such as Societé Générale, BCG – The Boston Consulting Group, Quaestio Capital), have been quite willing to experiment with bold colours and patterns. 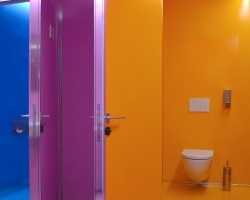 Without much fanfare, they recognize that the bathroom can offer a quiet refuge to escape the office for a moment and gain perspective. 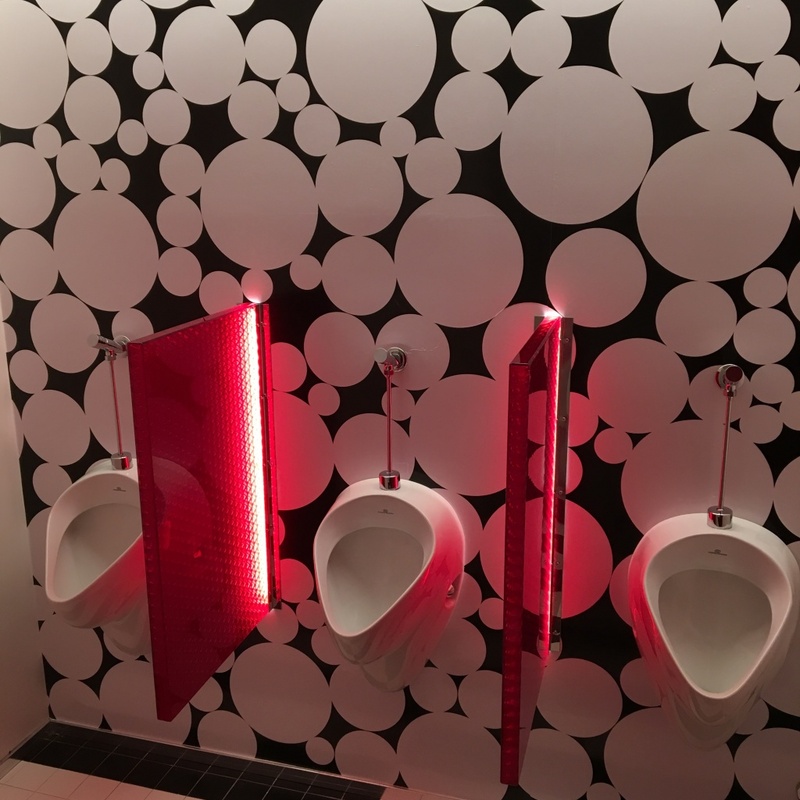 Others, like WeWork, go as far as stating that they find in restroom’s design a strong platform to communicate their organization’s brand and values! 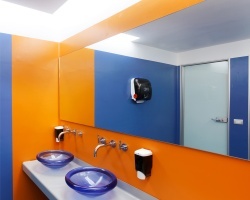 Therefore, it is not so surprising that one of this generation’s most revered business leaders, Steve Jobs, saw in restroom allocation an opportunity to social engineer interaction among employees. 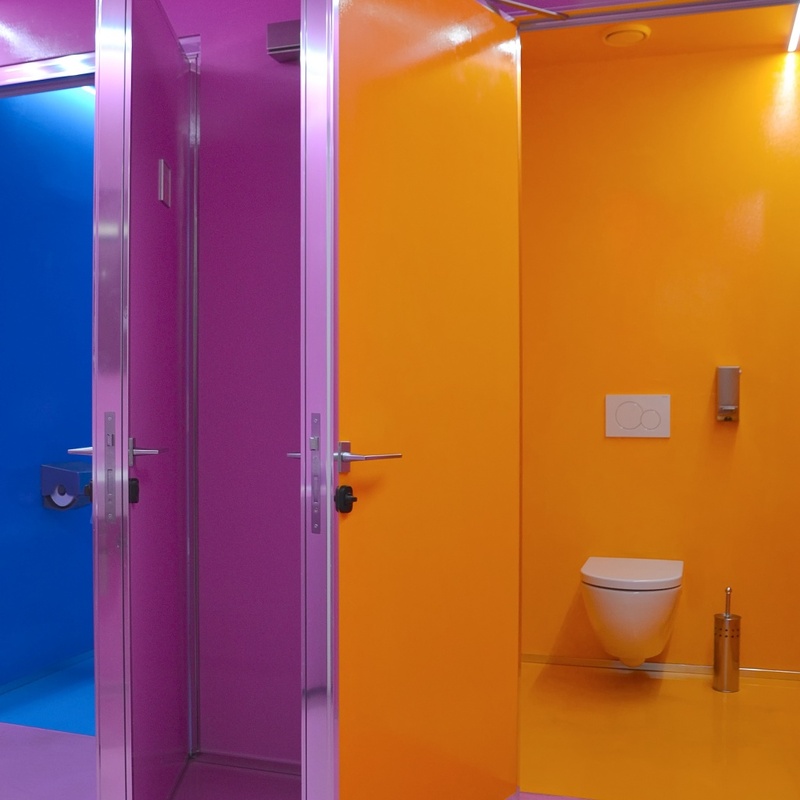 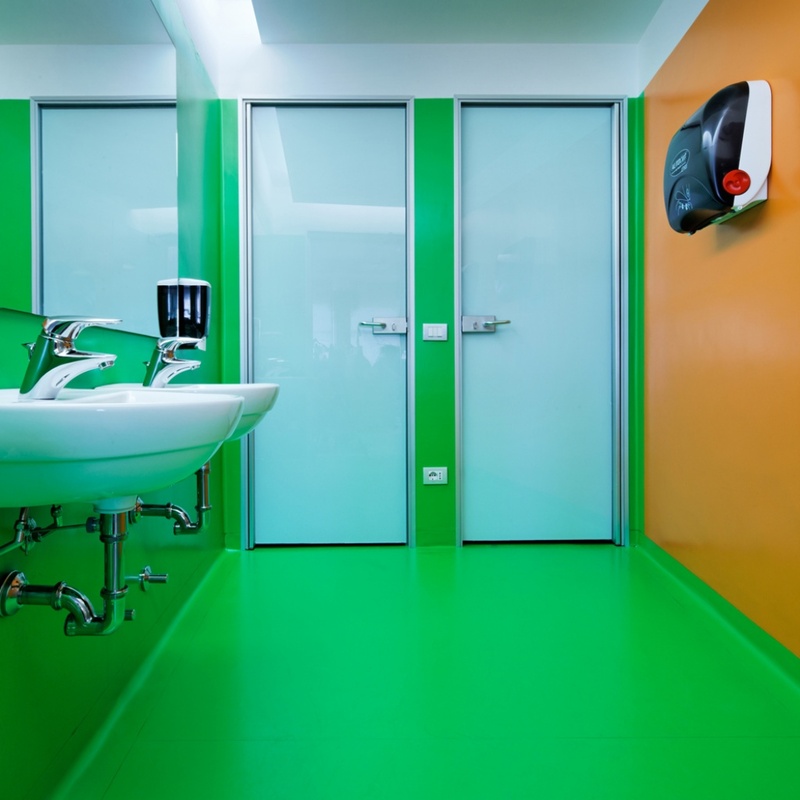 Will flagship toilets be a space for cutting-edge art experiments?